I know all of us at one time or another have created a “design element” outside of the pattern….oh should we leave it, take it out (known in knitting circles as frogging), or make it special? 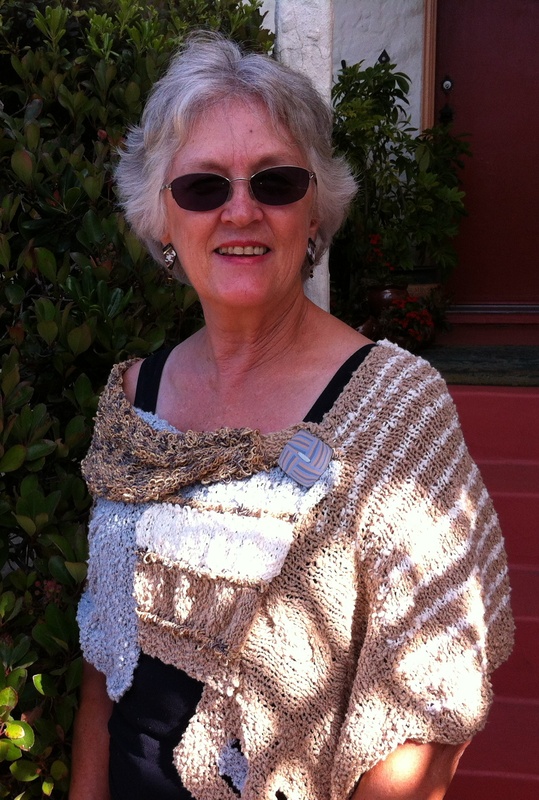 In this case, I finished the MaggiKnits Cowl….and while I liked the drape of the Misty Slub piece on the front….I kept thinking it just didn’t look like the photo on the pattern. In fact, I couldn’t even identify it in the photo. So I went back to the promotional photos that Maggi sent me earlier this year….and I now see that “Maggi’s vision” was that the drape was on the inside of the cowl with just a hint of it showing. What to do? Take the drape off and sew on the other way….leave it as is….or think of another solution??? Well, I was loathe to take it off and decided to have this be “Carolyn’s vision” of the drape. I gathered up one end of the drape and secure it up by the button. I am really liking it. You can look at “Maggi’s vision” featured on the left side of this photo. Check out the other color choices at Maggi Knits Large Cotton Cowl. These kits retail for $105.00 and will be available at Skein Lane online store in the next day or two. We can also customize a kit for different colors. p.s. There are 10 skeins/balls of yarn in each kit, a button specific to colorway and the pattern. Unkitted the retail price would be about $117.